The masks give an ageless sense to their performance and so does their relentless manner. Their performance was proof of how much what they stand for is important to their fans and indeed to themselves. After five years of radio silence, Slip Knot are back with a vengeance this Summer! 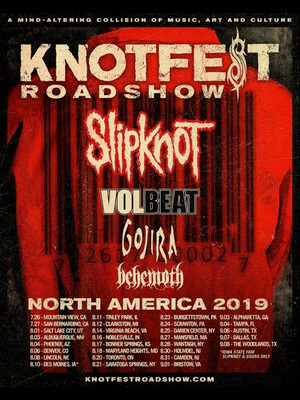 Not only are they releasing their long-awaited sixth studio album We Are Not Your Kind, but they'll also be bringing their new material and general mad metal mayhem to stages across North America on the mammoth 29-date Knotdfest Roadshow Tour. Formed in 1995, the nine-member hellraising ensemble quickly grabbed attention and headlines with their unapologetically aggressive shock rock and intense, high-energy live shows. Fusing together heavy, nu, alternative and groove metal, their fuzzy angst-ridden and politically furious, social commentaries speak to nihilist in all of us. On stage, the band take their metal agenda to theatrical heights by donning industrial jumpsuits and distorted Halloween masks, expertly balancing the art of the theatre macabre with visual and sonic spectacle. Wear comfy shoes, because there's bound to be a mosh or two on the horizon. Sound good to you? 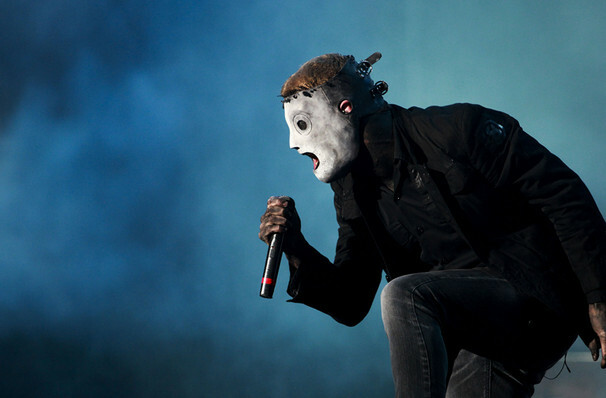 Share this page on social media and let your friends know about Slipknot at Glen Helen Amphitheater.